Manchester United are continuing their chase for the Champions League spot in Premier League. They will take on Fulham on Saturday afternoon, when the Red Devils will visit Craven Cottage. Claudio Ranieri’s team will be fighting for crucial points in their really tough battle to stay in the league. 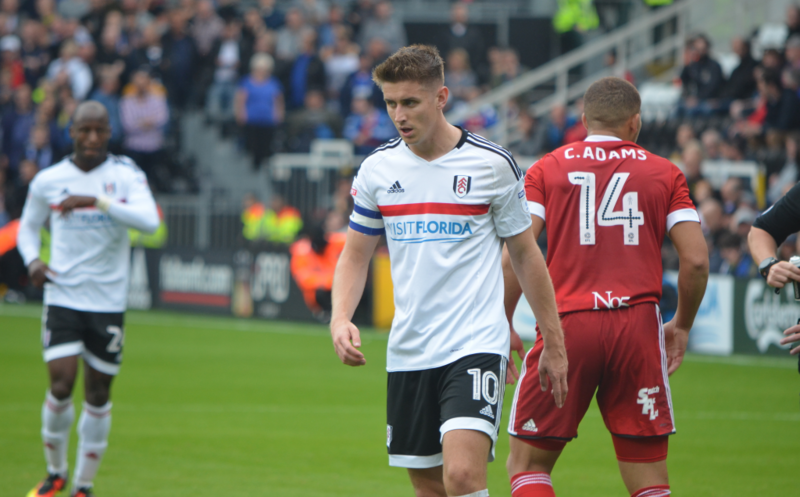 The team came from the Championship under the guidance of Slavisa Jokanovic, but after the club had spent around 100 million pounds in the market without much consulting with the then manager, it proved to be a disastrous summer. Almost none of the players brought in made a positive influence on this team and winning just 17 points in 25 matches is encapsulating it all quite precisely. There are problems everywhere for Fulham. Their defence is horrid, as they conceded 55 goals so far, at least nine more than any other team. Only Huddersfield have more than their 16 losses and they are 6.28 points behind their expected points tally. They are poor, but also underperforming, making things that much worse. Another important aspects have been their constant injuries throughout the season and Alfie Mawson will be out of contention this time. They have just one win in their last five matches, while losing to relegation rivals Crystal Palace and Burnley in the process. Add a home defeat to Oldham in FA Cup and you have got yourselves a real misery. If there is one player that things have been going positively, that is Aleksandar Mitrovic. The Serbian striker had an incredible 2018, bringing Fulham to the Premier League on the back of his crucial goals, but also scoring 12 goals for Serbia in a calendar year, a record unheard of in his national team. This season, Mitrovic has 10 goals to his name with just over 10.00 in expected goals. He is their primary attacking threat and he was at the centre of a 4-2 comeback against Brighton, after losing 2-0 just 17 minutes into the match. Mitrovic’s two goals and an assist proved to be decisive, but he has been decisive for them this whole season. With 10 goals and two assists, he was part of 12 out of 25 goals Fulham have scored, almost a half of the total. Mitrovic does need a couple of chances here and there in order to score, but his overall threat can be dangerous. He can play with his back to the goal, but also use his physical strength to get into better positions. He shoots a lot and Man United will have to keep an eye on him. Neutralize him and that is the biggest part of keeping a clean-sheet. Man United will definitely want to win and Fulham could be a piece of cake once again. They are the third worst in shots allowed, but sit in 10th in shots made. That might sound really good on the offensive side of the ball, but most of their shots are from poor areas. Andre Schurrle is especially bad at picking positions to shoot from. Also, it is worth noting that Mitrovic is the second best player on this team in regards to chance creation (expected assists) and he is actually known as someone who is primarily looking to score goals. It tells a lot about the mess in this team.